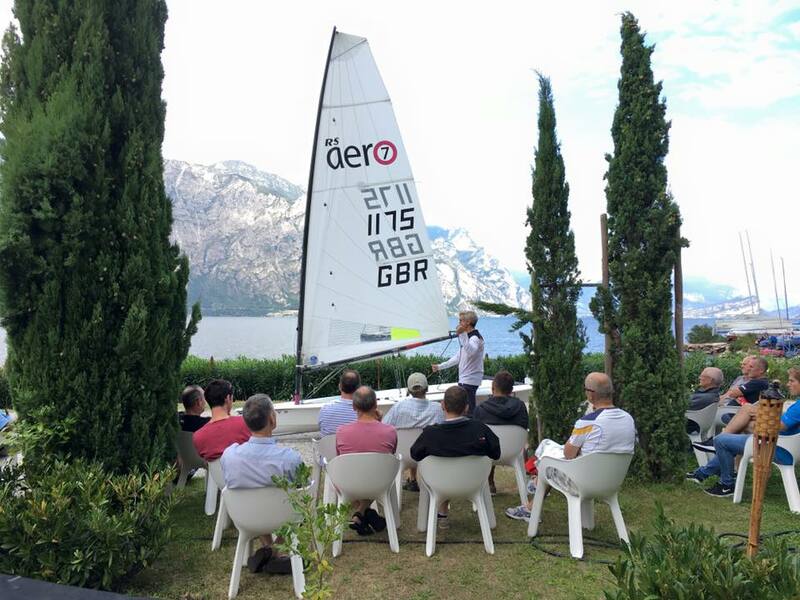 For a special event and by popular demand we visit one of Europe's prime meccas of sail sports on the wonderful Italian Lakes where we can build on the success of our previous two visits. 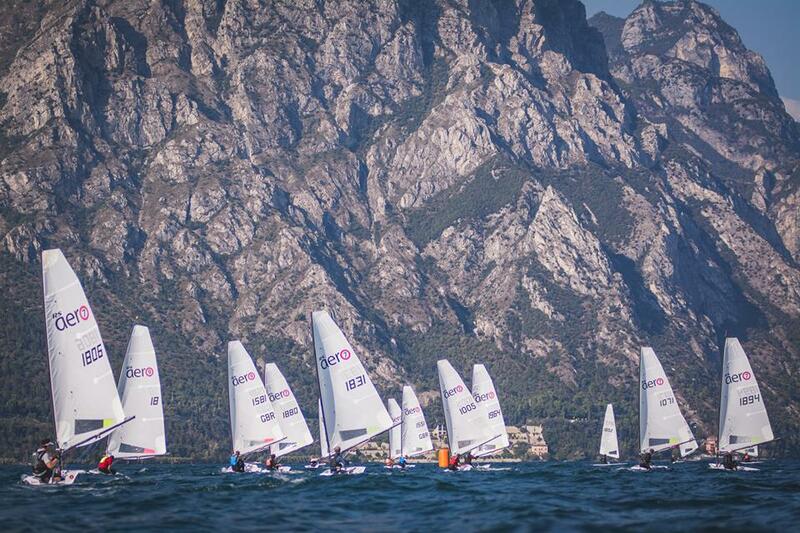 Whet your appetite - check out the movies, reports and photos from the 2016 and 2017 RS Aerocups at Garda. Championship racing will be 5 days, Monday 19th - Friday 23rd August 2019. The 17th & 18th will be for registration, measurement, practice and acclimatisation! We will not plan a lay day but one or two early starts, racing in the stronger morning breeze descending from the mountains will add variety to the racing and allow for a part lay day mid week if we are finished by late morning. Time for touristing and partners/families! 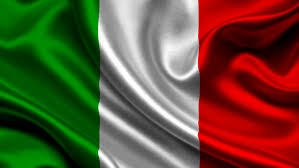 Daily Pasta Parties will be included after racing, with Daily Awards and Top-Tips from the day’s leaders in each fleet, sitting in FV Malcesine’s patio bar, looking across the lake to the towering cliffs opposite - not to be missed! 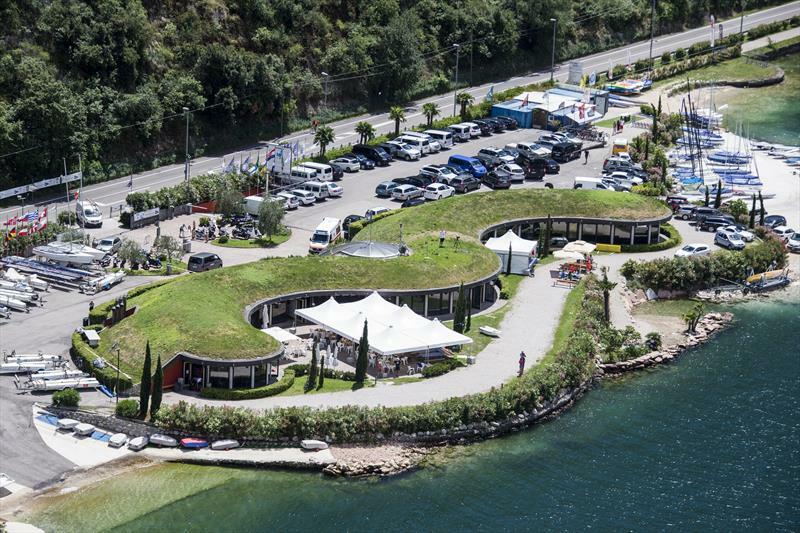 In addition to the usual warming Opening Ceremony and final Closing Ceremony, FV Malcesine will lay on a mid week Championship Dinner from their exquisite premises. 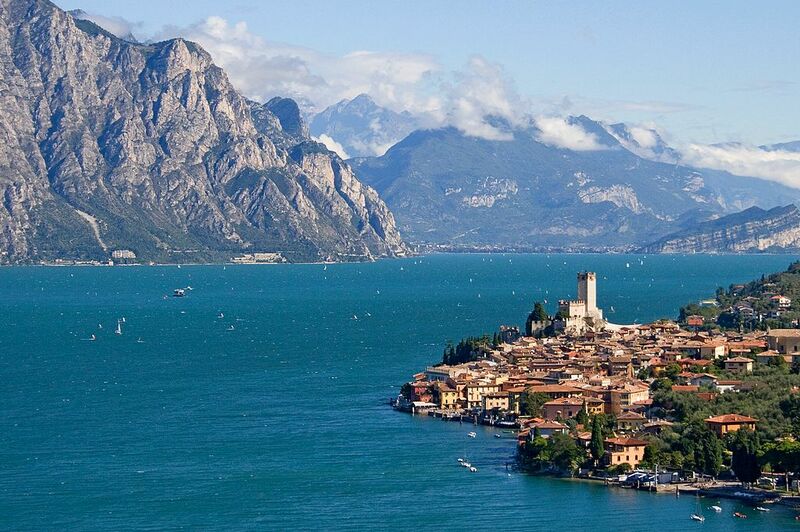 Lake Garda is the largest lake in Italy, and Malcesine lies on the eastern shore towards the narrow and mountainous northern end, often compared to a fiord. 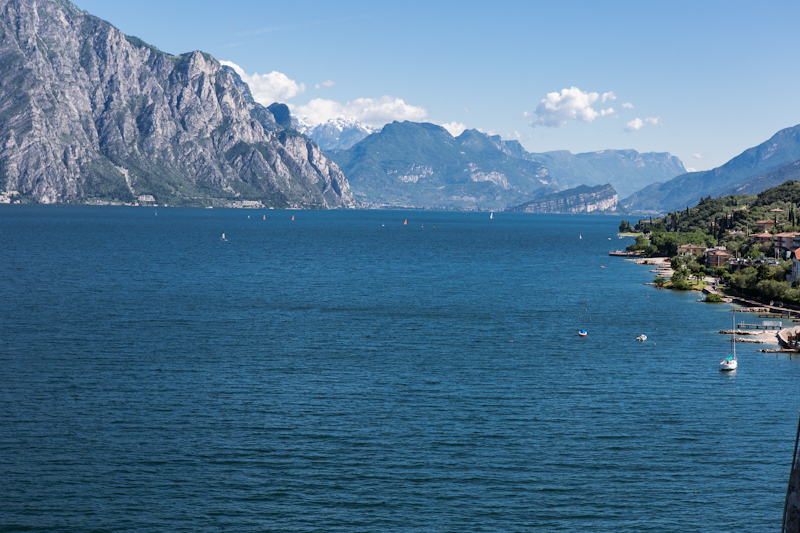 Fraglia Vela Malcesine is situated on the doorstep of paradise, racing in the thermal breezes on the infamous fresh waters of Lake Garda, underneath the dramatic mountainous backdrop. The stylish clubhouse, space and easy launching, all serve to provide a perfectly memorable stay. Sunday 18th shall be a coaching day (all included) to warm up and acclimatise. 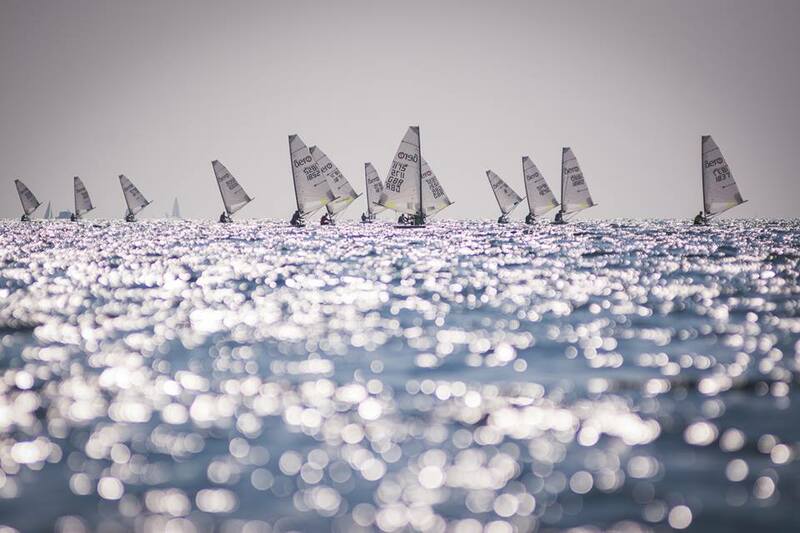 Starting at 11:00 with onshore theory before a coached Practice Race in the afternoon, this is a great opportunity to develop your RS Aero skills and take away some tips to improve your RS Aero sailing! The Championship racing shall then be held over 5 days, Monday to Friday..
BOOK NOW - it is high season! The recommended area is Campagnola just to the south of the FVM Clubhouse. A variety of hotels and camping are available. HOTELS: Click HERE for a good link to find nice hotels by the lake in the area. We suggest hotels in Campagnola or heading towards Malcesine from Campagnola. Look at the map on that site. Then we can all be close for meeting up. The recommended hotel is Hotel Piccolo which is the closest at just 500m south of the club and overlooking the lake, but it fills up early. CAMPING: The recommended campsite is Camping Claudia, close to the lake and just 1km from the Club. There will be RS Aeros available for charter at this event for £500. - The Class organised big trailer is now fully booked out and RS Sailing are not offering transport of owner's RS Aeros to Garda. Please contact Becky ASAP on; [email protected] or 01243 377633 to get full details, confirm and the booking form. - In addition... other UK owners may have spaces available to take additional RS Aeros. If you are after a space or have one to offer please post in the forum thread HERE and people can link up. Cableway to Monte Baldo - climbs from Malcesine to 1760m for breath taking views over the lake and pleasant mountain walking.